Helps in putting feelings into words, removes shyness and introversion, allows us to have clear communication. Aids in creativity and removing creative blocks. Resolves issues causing disorders of the throat, ears, voice, neck and jaw soreness. Increases intuition, imagination and to think symbolically. Blue Tiger's Eye has a trigonal crystal system, is formed in a tertiary manner and is in the mineral class of oxide, the Quartz group. The silky sheen and beautiful shimmers seen in this stone are created during its formation process. With Quartz as its base, Crodicolite (asbestos) is trapped within the crystal. The fibers are generally twisted or crumpled which accounts for the various patterns. The amount of oxidation that occurs during its formation determines the coloring. In the blue shades, very little oxidation has occurred and the natural blue coloring of the Crodicolite prevails. 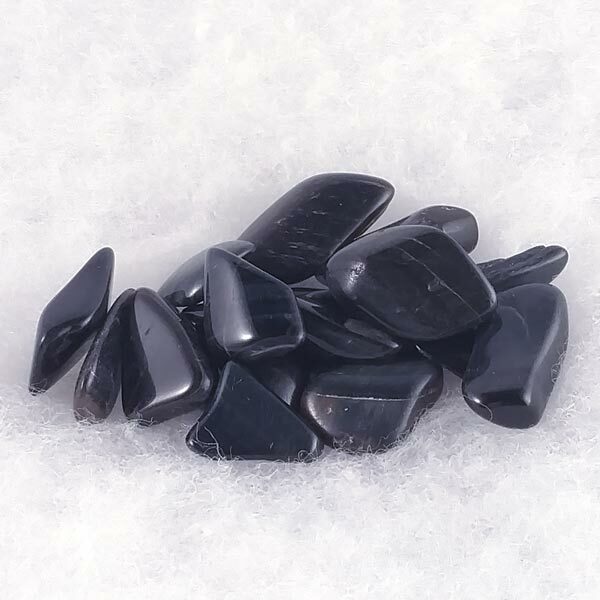 As with most stones, Blue Tiger's Eye are best used when held or laid upon the body. In it's shade of blue, it is quite beneficial when used at the Throat or Third Eye. Blue Tiger's Eye helps us to get through difficult times in our lives without losing our inner voice. It can be used to enhance psychic abilities and attuning the Third Eye. 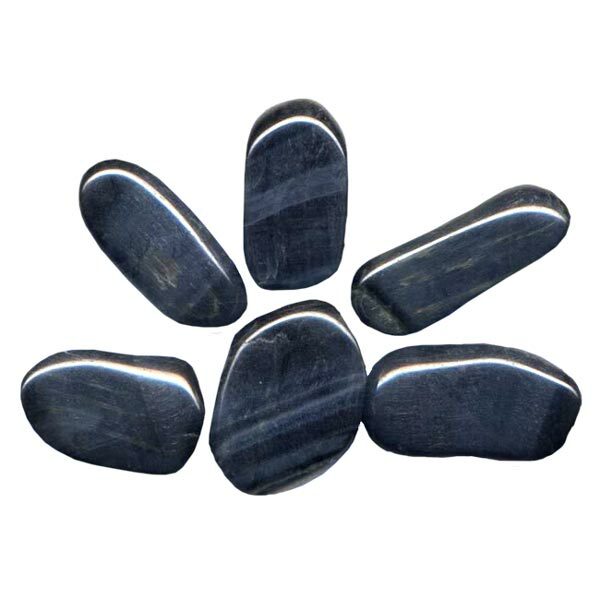 Blue Tiger's Eye promotes the balancing of yin/yang energy and helps to settle inner conflicts. Blue Tiger's Eye can bring awareness of one's personal needs or the needs of those close to us. It provides a gentle calmness which can allow us to discern the best way to settle inner turmoils. Blue Tiger's Eye can have a pain relieving effect. Like cool water, it is soothing. It has been used in the treatment of throat disorders and to improve night vision. Tiger's Eye, of every color, has a special affinity with the Earth Signs. In blue, it has a special affinity with Aquarius. It has a Projective Energy, its Planet is the Moon and its Element is Water. There is not much magickal or folklore information about the various colors. This is mainly due to the fact of it being misidentified as a type of banded agate for many years. In any shade though, it carries the powers of protection against many forms of danger.